Tesla's Model X electric car, which was first unveiled in 2015, just received a 5-star safety rating in every category and subcategory by the National Highway Traffic Safety Administration. Why it matters: This is the first SUV to receive the highest, all-around rating, and it is a huge achievement for the company. 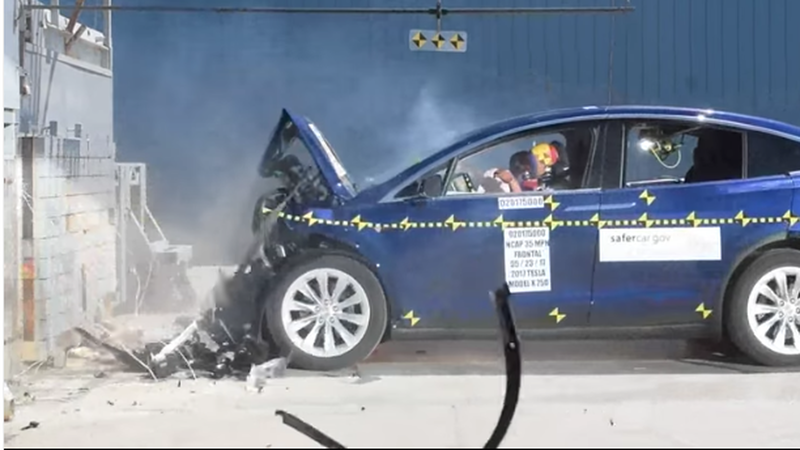 Tesla claims there is a 93% chance of walking away from a car crash without any serious injury when in a Model X. What they're saying: "Model X performs so much better in a crash than gas-powered SUVs because of its all-electric architecture and powertrain design," per Tesla's blog post. What's next: Tesla launches the Model 3, commercial electric car next month. Musk has claimed he will unveil the first all-electric semi truck in September, The Verge reports.